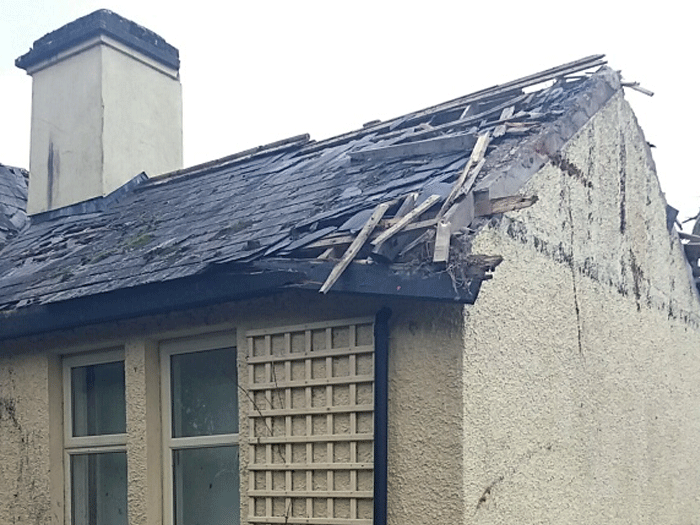 Storm damage ranges from a few slates dislodged to whole buildings being up-rooted & blown away. High winds, hail, snow, tidal surges, tornados and other weather phenomenon are associated with storms. Most policies cover storm damage (unless you live in a hurricane belt). 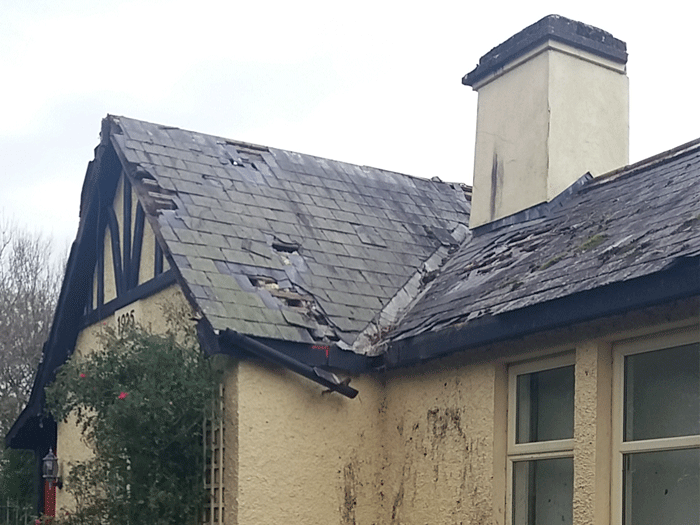 Our response to a storm claim will depend on the extent of the damage. This is usually very evident. 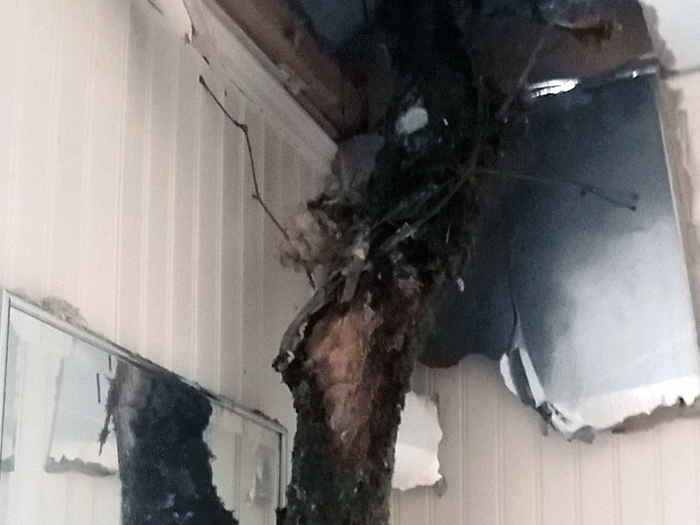 Insurers are not interested in minor damage that occurred during a force 1 or 2 ‘breeze’. The proof of the claim involves weather evidence showing winds in excess of 90-100kph. 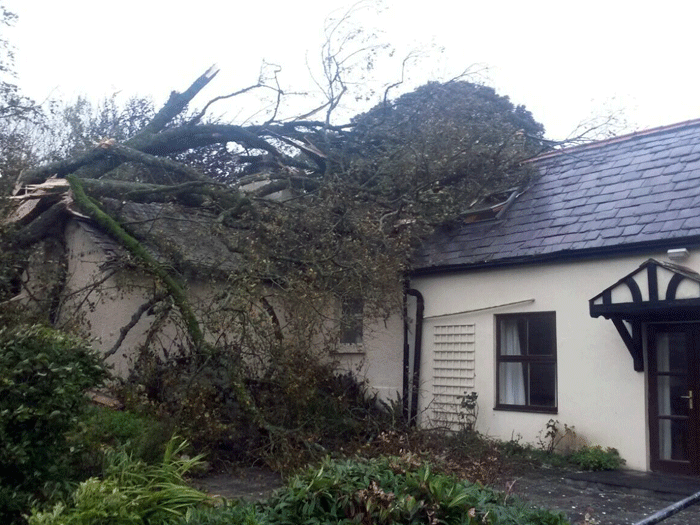 Storm force winds blew a tree down on a house damaging the roof externally & internally. 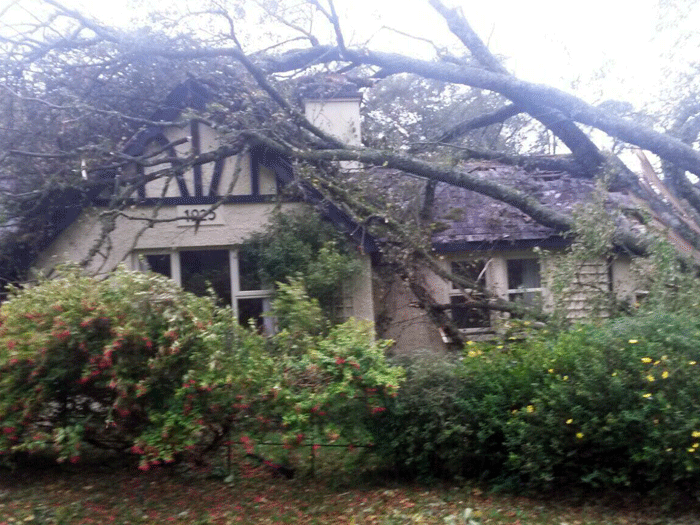 The tree was removed and significant damage was done to the home. 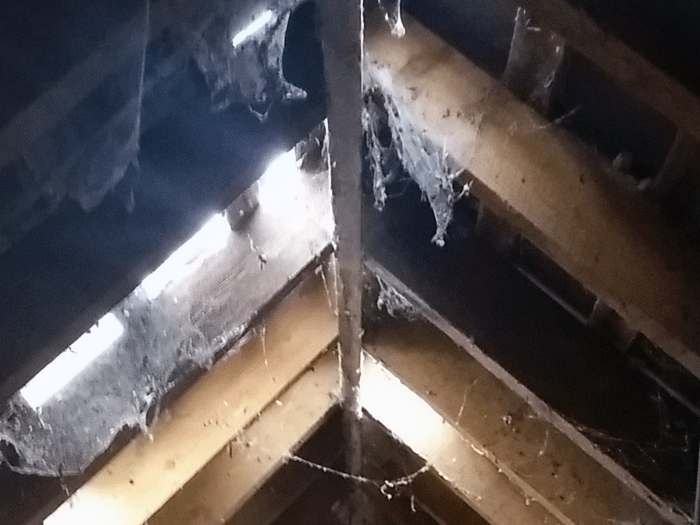 Clearys Loss Assessors & Insurance Services have links with Specialist Contractors, Tree Surgeons, Salvage Companies, Roofing Contractors, Electrical Contractors throughout the country.